We have a special day planned for you! On Thursday, May 2nd, we will be hosting Botox Blitz! with Lauren Helmuth, R.N..
3. 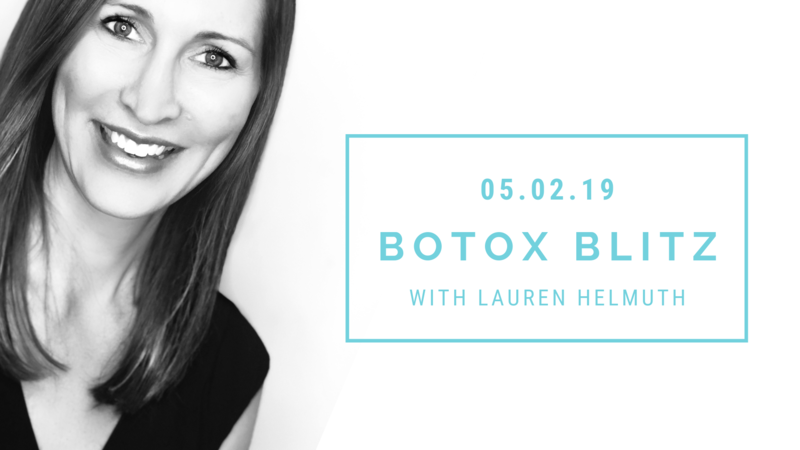 Schedule your appointment for Botox Blitz! on May, 2nd. Time slots available from 9AM - 1PM and 2PM - 6PM.